The Foundation for a Drug-Free World is a nonprofit public benefit corporation that empowers youth and adults with factual information about drugs so they can make informed decisions and live drug-free. 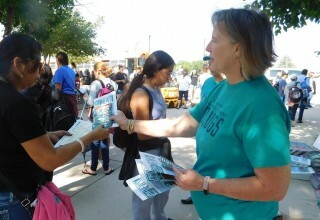 Working to reverse the drug epidemic by reaching kids with the truth about drugs before they begin to abuse. DENVER, August 11, 2018	(Newswire.com) - “More Coloradoans died last year from drug overdoses than any year in the state’s history.” This is but one of the many recent headlines coming in from the Denver metropolitan area. The Colorado chapter of Foundation for a Drug-Free World is determined to reverse this trend by working with kids before they become part of the problem. 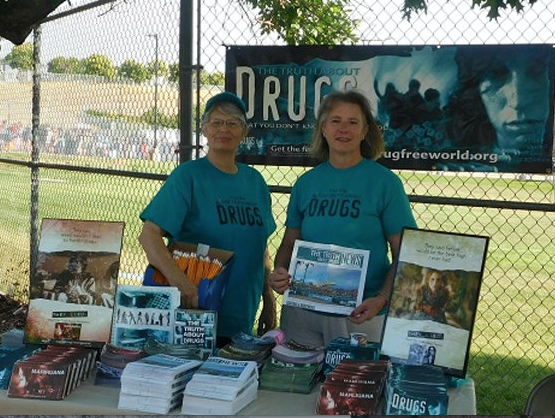 Drug-Free World is a nonprofit public benefit corporation that offers the simple but powerful Truth About Drugs booklets that describe how drugs work and their mental and physical effects. There are 14 booklets in the series focusing on the most commonly abused drugs, exposing and debunking pro-drug myths with the truth about the short- and long-term effects of drugs. 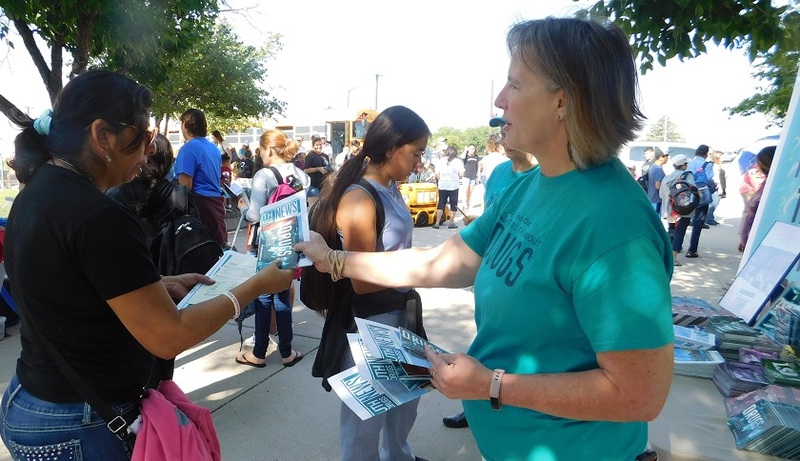 To reach kids with the truth about drugs, the foundation brought their initiative to the Adams 12 Five Star Schools “Back to School Bash” in Thornton, Colorado. 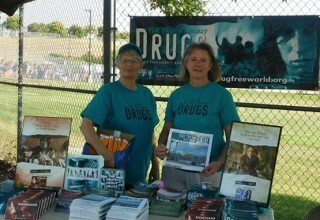 Volunteers set up a drug information booth, where they handed out copies of their newsletter along with sets of drug education booklets on the most commonly abused drugs. One mother who stopped by the booth spoke of her brother who has been in and out of jail since he was 18. He is now 35. Last released eight months ago, it wasn’t long before the woman’s 10-year-old son asked her about his uncle’s empty baggies and burnt aluminum foil — the tip-off to her that her brother was abusing drugs once again. She was happy to have copies of the foundation’s hard-hitting booklets so she can help her son understand his uncle’s addiction and make better decisions about his own life. One tenth grade student told the volunteers, “This is my turn to make a difference.” She doesn’t want to be hurt or hurt her family by making bad choices. After speaking to the volunteers, she is now considering forming up a Drug-Free World outreach program in her school to help popularize drug-free living. The foundation provides Colorado educators with materials to provide youth with the data to make up their own minds on this important subject. No one likes to be lectured about what he or she can or cannot do and this is especially true of teenagers. So the foundation provides the facts that empower youth to choose not to take drugs in the first place. For more information about The Foundation for a Drug-Free World, please visit DrugFreeWorld.org. Sign up for email updates from Foundation for a Drug-Free World.